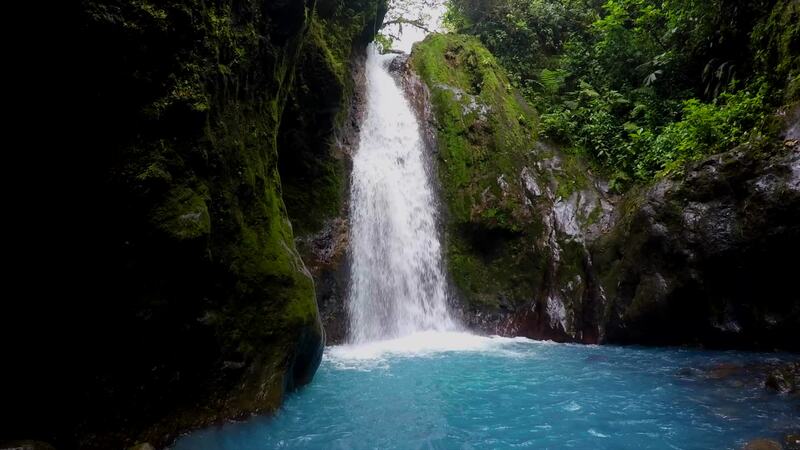 Costa Rica's numerous volcanoes and extensive rainforests combined to create a third natural phenomenon - waterfalls. The western half of the country, inland from the Pacific coast, is home to some of the most beautiful waterfalls in the world. Contributor Msmember was able to visit eight of these marvels in a 24 hour period, drone in hand. As you'll see from his video, the bird's eye views are spectacular. Description: Chasing Costa Rica Waterfalls is a film to show it is possible to enjoy nature, jungle, and waterfalls in 24 hours. I was able to explore and enjoy 8 Costa Rica waterfalls in 24 hours and have most of them to myself. After driving, hiking, and a little swimming, I was rewarded with these amazing waterfalls in the lush Jungles of Costa Rica.